I know she’s not as fancy as some of the newer models, but this lady is truly a work horse. I can’t believe that it took me years to take this machine in and get it fixed. It is very heavy and built to last, not like the newer plastic ones. I bought this used for $100 when I was in high school to take with me to college. 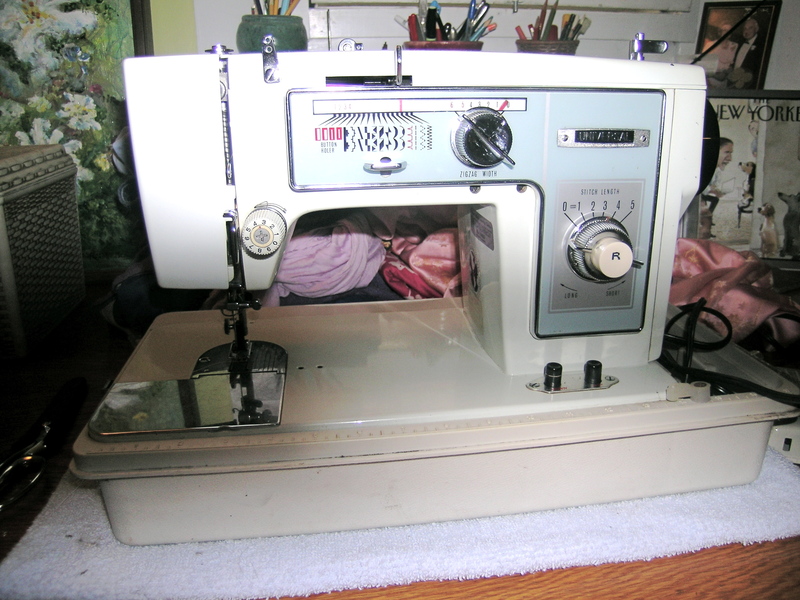 It has been with me always, and sewed suits, quilts, doll clothes, and ice show costumes. When the arm jammed up, I put it aside as I had another machine that had been my sister’s, and my fancy Serger. I still always missed this one. I instinctively know the feel of it, and how it works. I can’t wait to get some clothes repaired, make my daughter a skirt, and start on a quilt. 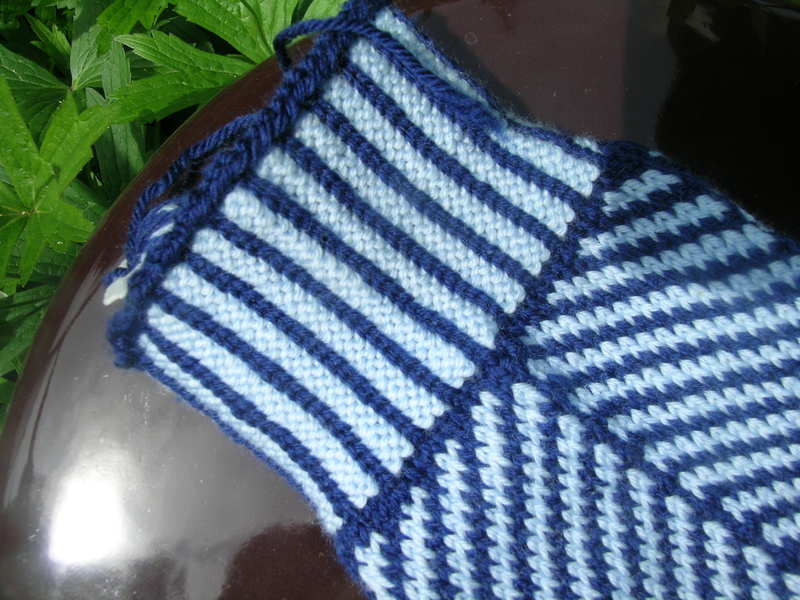 On the knitting front, almost finished with another project. Here is a sneak peak. Anyone recognize it? Is this the Viking ship sweater??? No, something near and dear to your heart though. ← A Girl needs shoes!